There are definite signs that can tell you where to shift your worry, your thoughts and your actions. You’re living gluten-free because you thought this was going to be the thing that brought your health back. Yet . . . . you still feel pretty terrible, both in body and spirit. What do you think is still causing you issues? Are you possibly sabotaging yourself? Often this is what we do – feel sorry for ourselves because we’re now deprived of foods we loved. This does not help, yet it seems to be a passage in changing over our lifestyle to smooth gluten-free living. 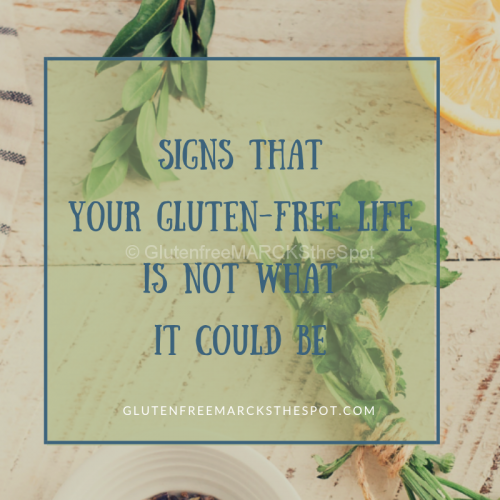 Step back and take a look at how you are handling your gluten-free life. Think about areas where you need to readjust, refocus or put some action steps in place to move forward in the right direction. Your gluten-free life shouldn’t be stressful and overwhelming all the time! See if you have any of these SIGNS and how to turn them around! 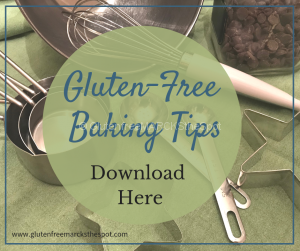 Download the checklist here and help get your gluten-free life on the right path for 2019! 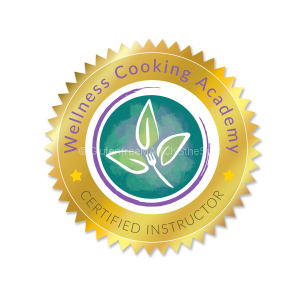 By signing up for the checklist, you will be added to my Weekly Newsletter – filled with information, tips, resources and recipes to move you forward in your gluten-free lifestyle. You can unsubscribe at any time. Your privacy is important to us. Thank Your For Joining Me on This Journey! 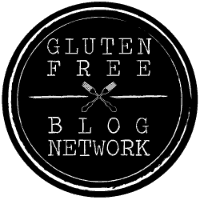 This entry was posted in Gluten Free Living, Resources and tagged gluten-free life, improve your gluten-free life. Bookmark the permalink.